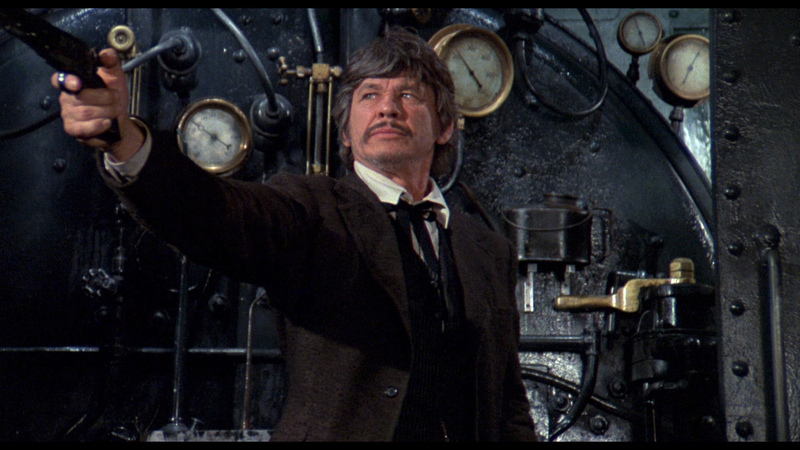 Description: Posing as a fugitive from justice, frontier undercover agent John Deakin Charles Bronson boards a train to go after a ruthless gang of outlaws. Ingredients essential to the action include an anti-military conspiracy involving gunrunners and Indians, a phony epidemic, and a down-and-dirty traintop fight between Deakin and Carlos boxer-turned-actor Archie Moore. 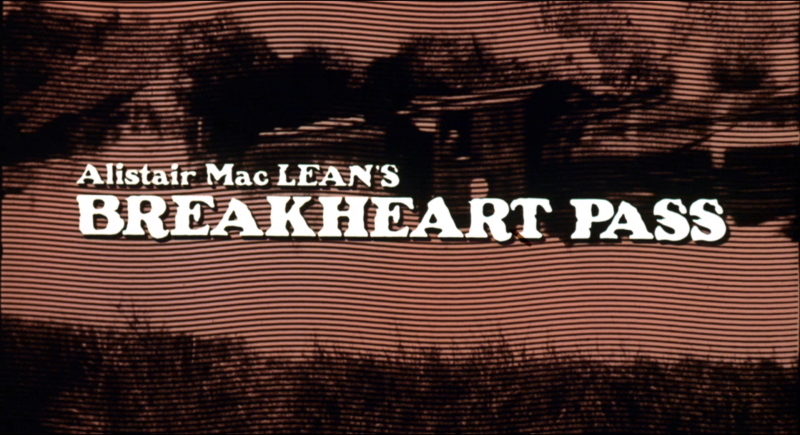 Breakheart Pass was adapted for the screen by Alistair MacLean from his own novel. This Alistair MacLean adaptation is a sturdy entry in Charles Bronson's '70s-era filmography. MacLean's script isn't as tricky or thrilling as his past classic Where Eagles Dare, but it goes about its business in an effective, straightforward style, keeping the story rolling at a fast clip and adding in a few fun surprises along the way. 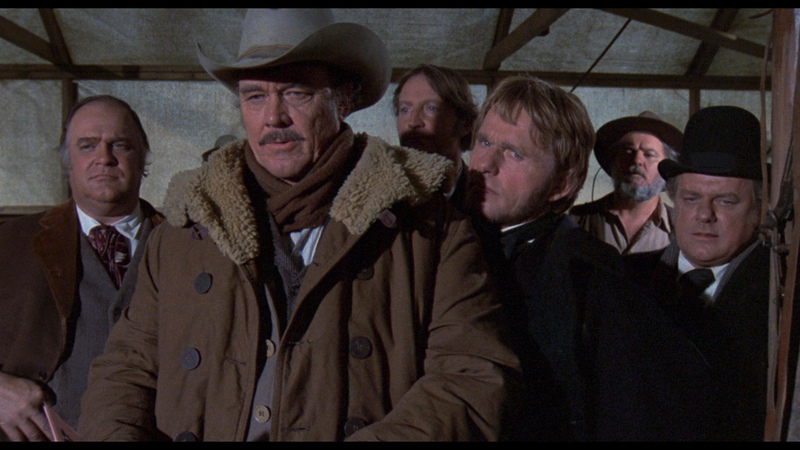 Tom Gries' direction is stylish but unobtrusive, giving the film plenty of visual scope and getting solid performances from the well-chosen ensemble cast. 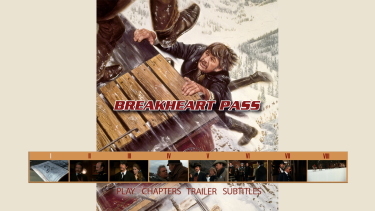 The latter element is where the true joy of Breakheart Pass lies: Bronson's subtle, mysterious turn as the film's secret sleuth is ably backed by effective performances from Ben Johnson as a grizzled sheriff, Ed Lauter as a hard-headed military leader, and Richard Crenna as a rather high-handed governor. 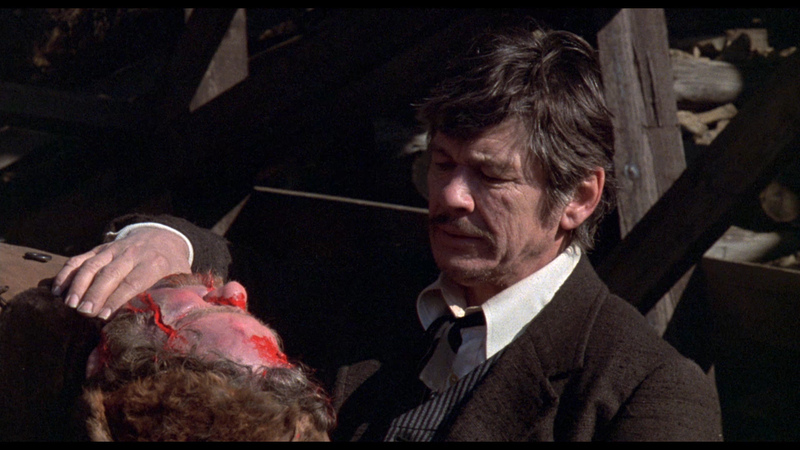 These performances anchor the film and make its mystery compelling. 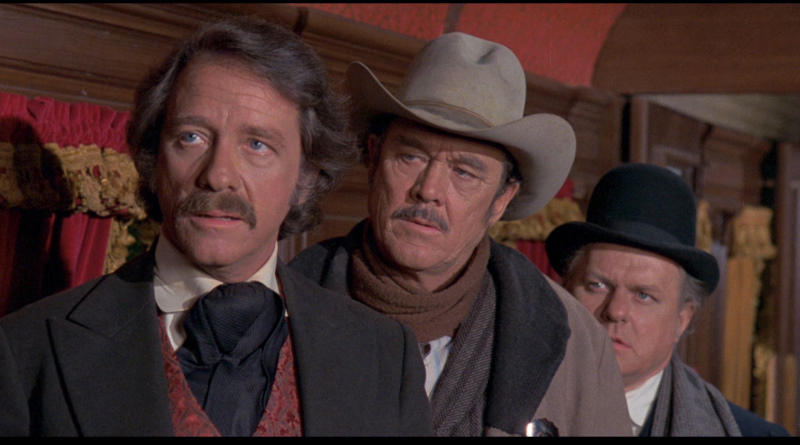 The end result lacks the depth or sense of invention to make it worthy of repeat viewings but it gets the job done in a likeable, professional style. 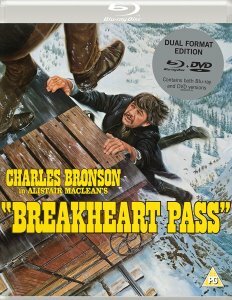 As a result, Breakheart Pass is worth a look to Bronson fans and anyone who enjoys Westerns and classic mystery fare. 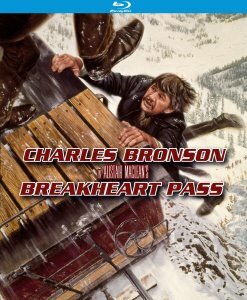 Like the classic Stagecoach (1939), Breakheart Pass features a band of desperate characters -- a state governor, an Army major, a minister, a doctor and a young innocent -- whose trip through the wild West is complicated by the presence of a fugitive from justice (Charles Bronson)...or is he? 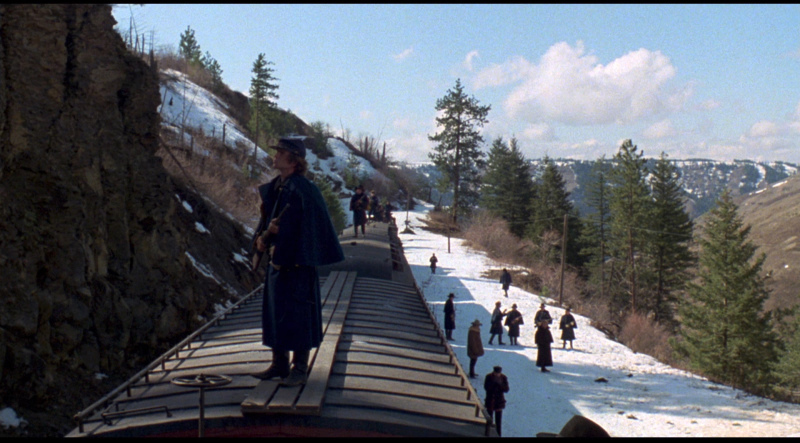 They come together on a train speeding to a disease-stricken frontier outpost with a precious cargo of medicine...or is it? 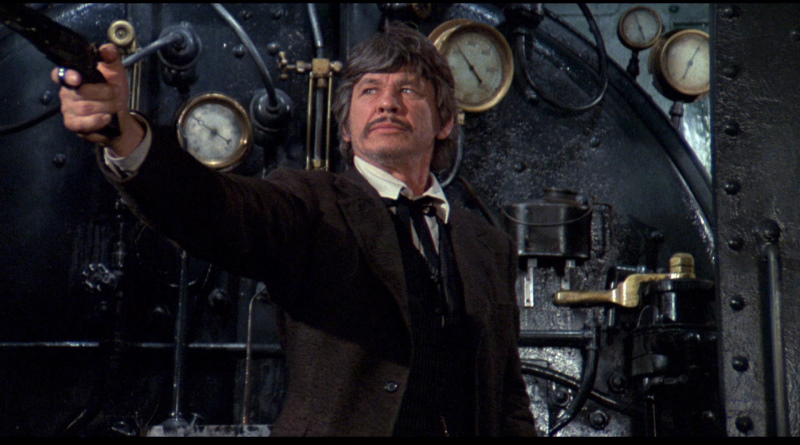 As passengers start turning up dead, it quickly becomes clear that nothing on this twisted train ride is what it seems. Charles Bronson was still riding high on the success of Death Wish (1974) when he returned to the Western, the genre that had made him an international star in Once Upon a Time in the West (1969). 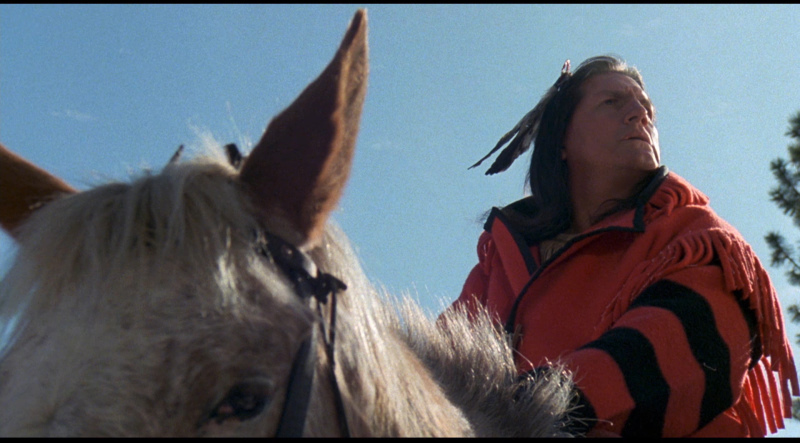 His director, Tom Gries, had already made one of the modern classics of the genre in Will Penny (1968), starring Charlton Heston and, like this film, beautifully shot by Lucien Ballard. 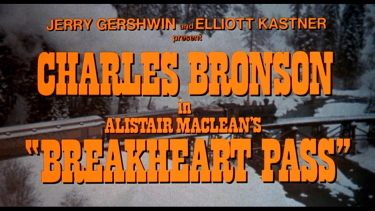 As an added attraction, Alistair MacLean, whose best sellers had served as the basis for such action hits as The Guns of Navarone (1961) and Where Eagles Dare (1968), adapted his own novel for the screen; it was only the second time he had done so. 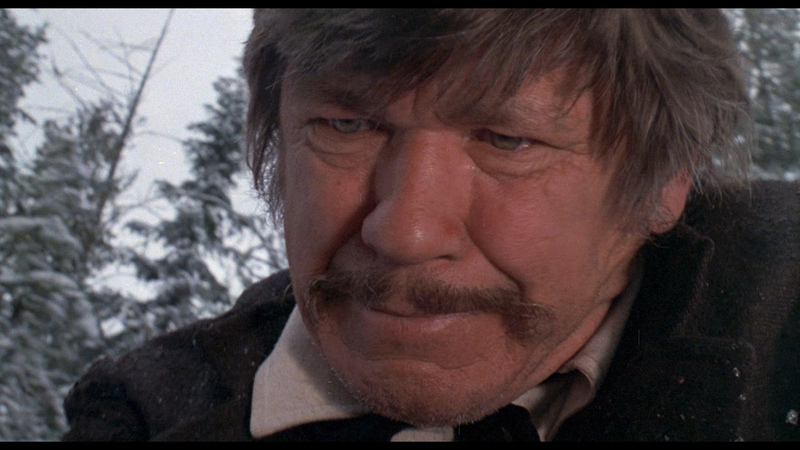 Another Charles Bronson flic, Breakheart Pass has to Blu-ray from Kino Lorber. 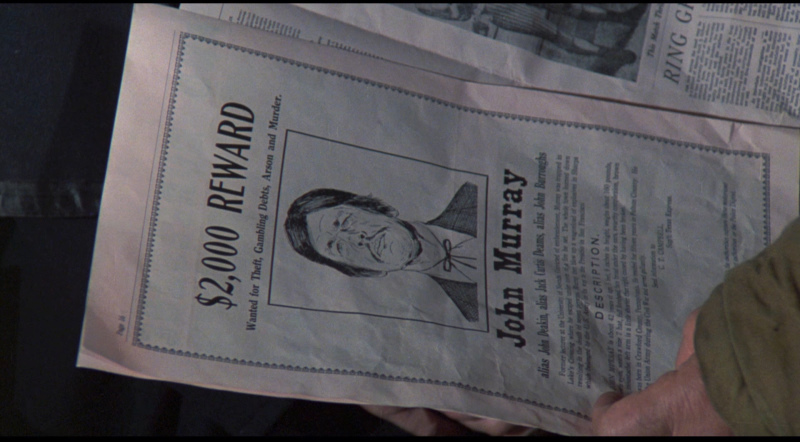 The image seems to have some color issues - perhaps even registry related but is, overall, what you might expect from a single-layered transfer. 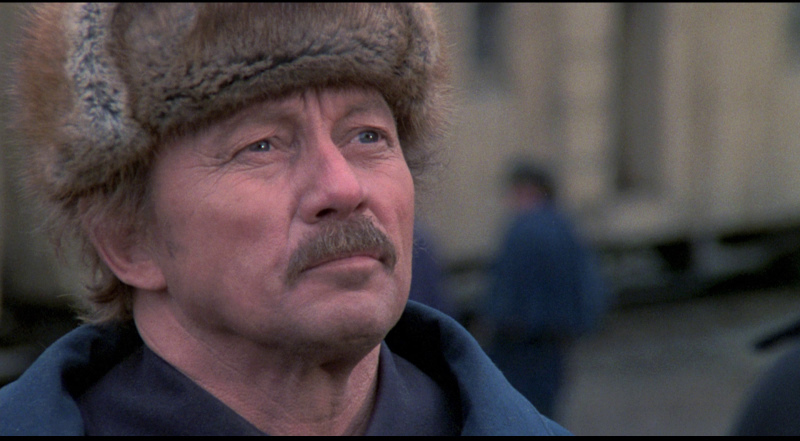 There are plenty of texture and a reasonable, if not stellar rendering. I don't see any digital manipulation and suspect this is a workable replication of the original and of the available source. This Blu-ray can't be faulted although home theatre aficionados should keep their expectations in-check. 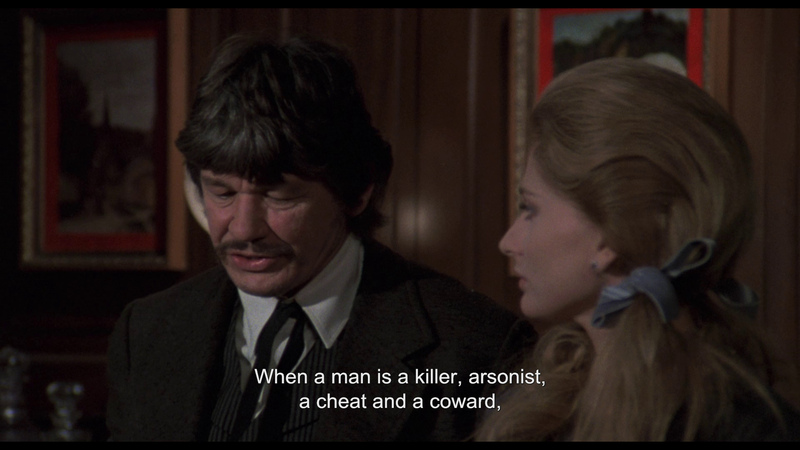 Nothing dynamic here. Looks like the same transfer - about the same bitrate but I suspect the same source and the two 1080P image qualities look very similar. Probably a good replication of the original film. The DTS-HD Master 2.0 channel track at 1723 kbps does a competent job of exporting the film's effects (train sounds, gunfire, horses etc.). The Jerry Goldsmith score supports the film though wouldn't be considered the composer's most memorable efforts. 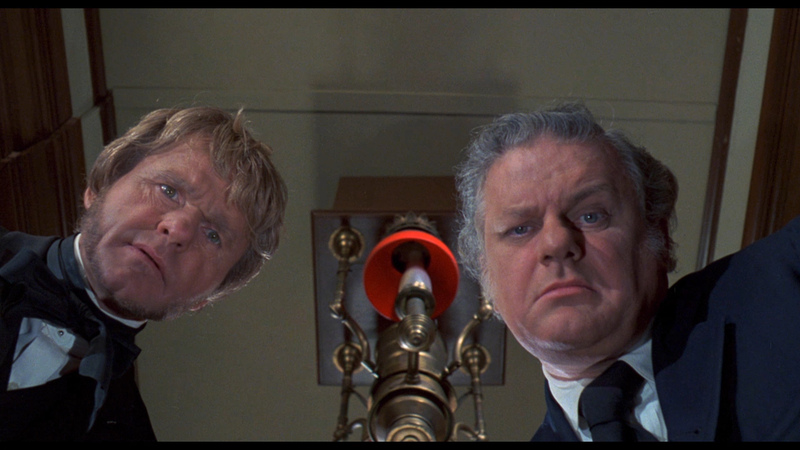 There are optional English subtitles offered and my Oppo has identified it as being a region 'A'-locked. A linear PCM 2.0 channel track - also in 16-bit and my ears could not detect a difference. Goldsmith's score sounds good. The Eureka is Region 'B' also has optional English subtitles. Bare-bones with only a trailer. The film really doesn't deserve a commentary or extensive discussion. 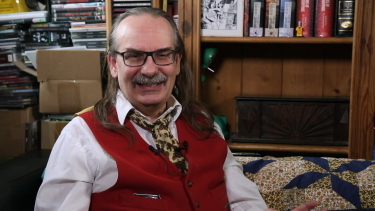 A trailer as well but also included is a new video interview with critic and author Kim Newman which has solid value. 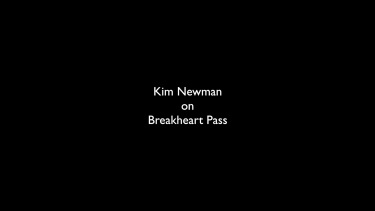 There is also a second disc DVD. I like Bronson as much as the next guy, but had some trouble getting into this. 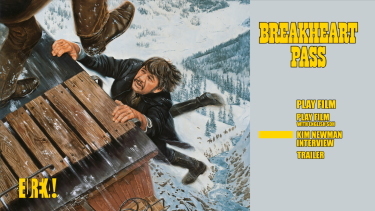 Breakheart Pass is certainly filled with strong supporting performances (Crenna and Durning are a bit tiresome though) and is a decent adventure/mystery tale - just, maybe, not what I was expecting. 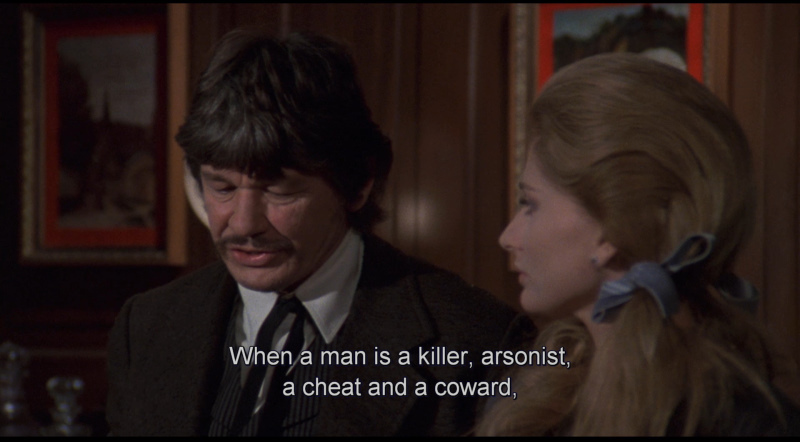 I noted a superficiality to it. The Blu-ray provides a decent presentation - nothing outstanding, but, no doubt, the best on digital. 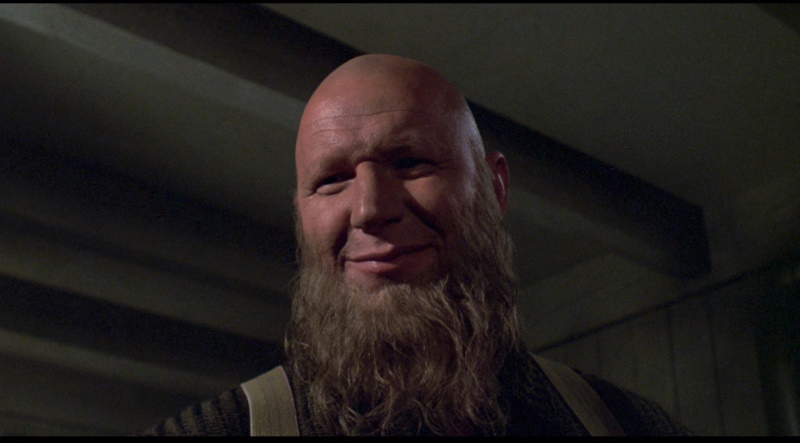 The gruff actor's fanbase should be pleased. 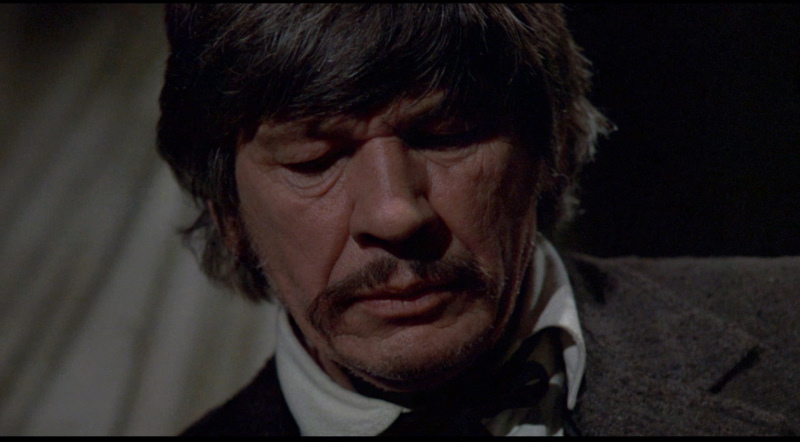 Not much of a difference excepting the impressive Newman interview - so Eureka edge ahead in this Bronson period vehicle. It's still entertaining.